Marijuana tourism is huge in Colorado, whether your trip includes tours, accommodations or other related cannabis experiences. Marijuana friendly hotels in Denver are particularly popular when planning a cannabis vacation. While many Denver Colorado hotels accommodate the cannabis tourism market, it's early enough that many commercial 420 friendly hotels are still defining their policies or are hesitant to publicly market themselves as 420 friendly. Because of this, many people are choosing to rent their private bud and breakfast accommodations to marijuana-friendly guests. Can I smoke marijuana in my hotel room or at my vacation rental? Colorado marijuana law allows hotels and private rental properties the ability to decide whether or not to allow guests to consume marijuana on premises. Most hotels and resorts ban it outright and are smoke-free, which applies to any type of smoking, not just tobacco. Other hotels in Colorado are smoker friendly by less conspicuously accommodating vaping in-room or in an outside area, such as a patio or balcony. If you want to smoke weed at your cannabis friendly hotel, the options will usually include booking smoking rooms with a balcony or finding a location that offers a designated outside smoking area. This advice doesn’t apply to eating marijuana (like edibles, tinctures) and vaping, as you won't run into issues where there is little to no smell involved. Just remember to be discreet! We highly recommend buying a vaporizer pen, as they give off no smoke and very little odor -- plus they're available at most recreational stores you'll visit. You can then purchase oil, wax or shatter concentrates to use with the pen, depending on your preference. We've used these many times in non-smoking rooms or other public places with no problem. 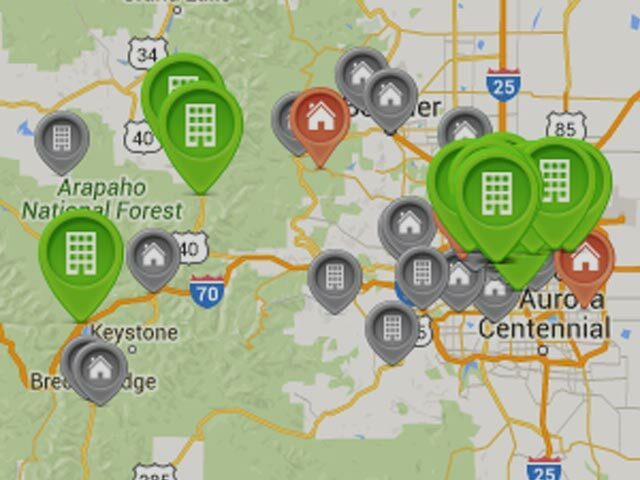 Our 420 friendly lodging directory contains a mix of commercial hotels in Colorado and private residences (like a bud and breakfast) that allow on-site marijuana consumption, as well as their own respective policies. Remember that just because a hotel allows it, does not mean they endorse or encourage it. Be respectful of the 420 hotel property and the other guests, and use discretion (like a small one hitter or a vape pen). Unfortunately, it seems like many of the major hotels in Colorado will not allow on-site smoking at the moment. We do have major hotel chains listed below, but we are not allowed to use their company name in advertising. If you hear information about a 420 friendly hotel or private residence policy that conflicts with what we have on our site -- OR if you know of any marijuana friendly accommodations that we're missing, please contact us. Lodging Providers and Private Rentals: If you would like to submit your property to our directory, please contact us as well. Stay in the heart of downtown Denver in the finest 420 friendly boutique luxury hotel in the state. Convenient location to 16th street mall, Denver Art Museum, the Colorado Convention Center, the Pepsi Center, Sports Authority Field, and Union Station. Basic budget friendly 420 friendly hotel with video game arcade, downtown shuttle, restaurant, bar and pool. Only 10 minutes from 16th Street Mall! King suites with pull out couches available. The hotel is less than 20 miles from attractions like the Pepsi Center, Elitch Gardens, Coors Field, Sports Authority Field at Mile High and the Colorado Convention Center. Designated 420 friendly outdoor consumption areas. Halfway between downtown Denver and Boulder. All rooms are vaporizer and e-nail friendly. Free hot breakfast buffet with belgian waffles and made to order omelets. Modern hotel located in the heart of downtown Denver, close to 16th Street Mall, bars, restaurants, dispensaries, and breweries. Complimentary hot breakfast buffet, grocery delivery service, grocery delivery service, and weekday snack social. 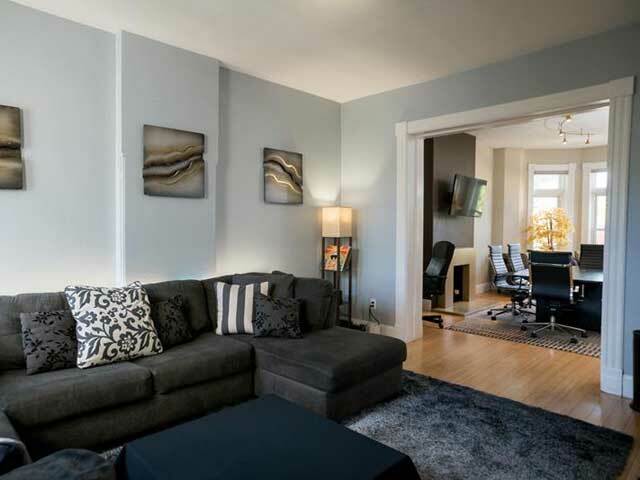 Studio, one-bedroom, and two-bedroom suites available with kitchens, living areas, and pull-out couches. Discreet use outdoor smoking area with BBQ and fire pit. Denver's premier urban inn. Enjoy your stay in this victorian mansion in the heart of downtown Denver. Walking distance to the 16th Street Mall, home to Denver’s best restaurants, bars, shops and dispensaries. Smoking allowed on balconies, garden area and gazebo. Downtown Denver close to 16th Street Mall, Pepsi Center, Coors Field, and Denver Art Museum. Extended stay suites with fully-equipped kitchens, living rooms, and sleeper sofas. 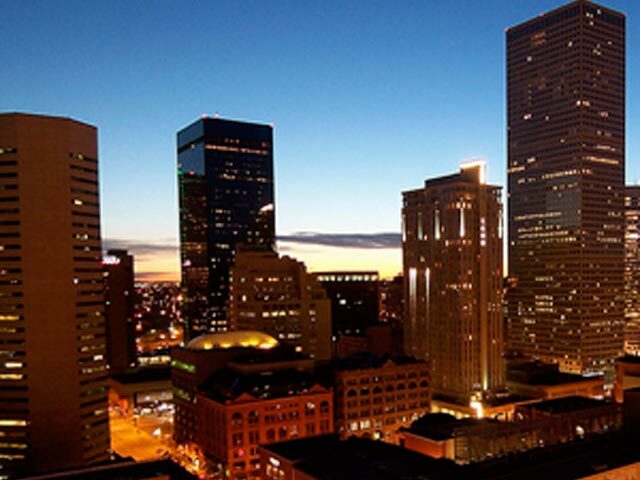 Stay in Denver's swankiest upper class neighborhoods only five minutes from the Cherry Creek shopping center and some of the classiest restaurants and nightlife in the city. Nearby Cherry Creek Shopping Center, bars and restaurants. Vaporizer and e-nail friendly rooms. Stay in one of the newest houses in the best part of Downtown Denver’s RiNo Arts District! Includes 1-hour of stretch limo service! Cannabis-friendly luxury w/ free hardware rentals! Grocery & beverage service available! 30th St & Champa St.
Great for large groups! This fully-automated Victorian Smart-Home is located in very close proximity to some of Denver's finest bars, dispensaries, restaurants, and dozens of daytime / nighttime "hot spots". Our home is setup to accommodate medium-to-large sized groups comfortably. We also have a backyard area with some yard games, fire pit, and a clean BBQ grill! We love hosting bachelor/bachelorette parties, concert-goers, and all adventurous groups who are looking to take full advantage of the area and 420 culture! LUXX Retreat offers sophisticated lodging accommodations for a luxury cannabis lifestyle experience. LUXX Retreat-Denver is a historic 1898 brick home near the heart of downtown Denver featuring luxurious furnishings and design, lush gardens, and a wide variety of consumption technology; LUXX Retreat-Denver is a true Urban Oasis for the modern cannabis enthusiast. Services available to guests: Black Car service, Private Chefs, Massage Therapists, Private Yoga Instructor, CBD enriched facials, and more! 2 bed/1 bath cottage located in the center of Lower Highlands (LOHI) next to the Navajo Street Arts District. Marijuana smoking and vaping outside only in several cozy, beautiful and inviting seating areas. Hip room and stylish house in Greater Denver Metro Area. Firepit, awesome patio, 420 friendly, comfy room, cool hostess and dog-who could ask for more?! Come visit! B&B 420 is a marijuana friendly bud and breakfast in Sw Denver. Designed and built specifically for travelers who wish to partake in Denvers marijuana scene safely, all the while in a beautiful atmosphere. Breakfast is included in cost per night. Smoking marijuana is allowed inside the cottage and in the backyard. 1 bed/1 bath cottage located in the center of Lower Highlands (LOHI) next to the Navajo Street Arts District. Marijuana smoking and vaping outside only in several cozy, beautiful and inviting seating areas. Welcome to the Steam Train Hotel! Our newly renovated boutique hotel is located in Antonito. Nature lovers and history enthusiasts find our location ideal for visiting the Great Sand Dunes National Park, Zapata Falls, the Rio Grande National Forest, the historic Cumbers & Toltec Scenic Railroad, and much more. We are located across the street from the 420 Green Genie, recreational dispensary. Enjoy, renting the top of the line “Silver Surfers Vaporizers” to use inside your rooms. We have an outside 21+ smoking areas with a fire pit for your enjoyment. We're a 4 bedroom bed & breakfast located in the beautiful San Luis Valley. Our home was used as the childhood home of Henry Jones Jr. also known as Indiana Jones in the Indiana Jones and The Last Crusade (filmed in 1988 and released in theaters in 1989). Quiet cozy lock out studio located in Aspen. Great location in a locals neighborhood with a beautiful 10 minute walk to downtown and surrounded by trail heads for your hiking pleasure. Free public transportation every 20 minutes, two short blocks away. 420 friendly! Our home is nestled on a hillside between Vail and Beaver Creek Ski Resorts. Guests will enjoy our Chef's kitchen, wood burning fireplace, 4kTV, custom decor and free parking. Guests are permitted to enjoy 420 with clean smoking paraphernalia provided by us! 420 friendly ten acre resort located on the scenic Poudre River. ​Just minutes from Ft. Collins and within walking distance to local bar and restuarant, gasoline and groceries, ​Poudre Canyon offers quiet relaxing on the river at Rustic or hiking, ATV, biking trails nearby. There are also many lakes within 10 to 20 miles. ​All linens, dishes etc provided in your rustic cabins. Rent a Cabin or Yurt at historic State Bridge at low off-season prices now through April 30. It’s popular with seasonal workers at Vail and Beaver Creek, and those looking for a peaceful, remote place to spend some time - even the whole winter. We’re famous as a beautiful summer music venue, but now you can enjoy the views of the Colorado River sitting on your front porch in relative solitude. Scenic mountain lodge in the foothills along Boulder Creek. Free shuttle to select Boulder dispensaries and other nearby locations. Biking distance to Downtown Boulder and the Pearl St Walking Mall. Bicycle rentals available on site for $20/day at the lodge. In the backyard of a wide selection of outdoor activities such as climbing, fishing, skiing, snowshoeing, cycling, and hiking. Nearby the best restaurants, dispensaries and entertainment in Boulder. Seasonal swimming pool and hot tub. 3 bedroom Cabin with Bar-B-Q area, porch and yard available. Vaporizer and dab (e-nail only) friendly rooms and several outdoor smoking areas. Vaporizer and dab rig rentals available time of booking. Customize your package with 420 friendly airport transportation and in room cannabis infused massages. All cannabis friendly bookings and rentals for this property are handled exclusively through Colorado Cannabis Tours. Beautiful Breckenridge townhouse with stellar mountain views. Only 1.5 miles from Main street with an amazing view of the ski resort. The Celestial Rose BnB is not the average Airbnb! We are in a lovely Historical Queen Anne Victorian. Our home is over 100 years old with an updated feel. It is quaint with the rooms reflecting warmth and a unique family orientation. We are 420 friendly and are located a few minutes from most of the local landmark locations. We have 2 beautiful bedrooms to offer. Apollo is the master suite with a King bed as well as a full-size futon. This room can sleep up to 4 guest and is linked to Luna, the other guest room via jack & jill bathroom. Luna is a bit smaller in size, located at the rear of the house & has a full-sized bed. Both rooms are equipped with Bluetooth devices & flat screen streaming tv’s. In season there is a fire pit & outdoor kitchen available for guest to use. We are renovating the home in the upcoming season with many changes to come. We serve an amazing breakfast & pastries made from scratch. Our Chef & Co-owner Tronette Alexander has been a premier chef for several major events in the Grand Valley from the Palisade Peach Festival, Edesia food & wine festival & the Colorado Wine Festival. She handcrafts fresh pastries & culinary delights to satisfy any dietary need or sophisticated palette. The Boulder Crescent Inn and Hostel has a history of accommodating Colorado Springs visitors since the late 1800's. Located within 2 blocks of downtown restaurants, cafes, nightclubs and shops. Trails and parks also just steps away. Our Inn is Marijuana friendly, as we have a unique common area lounge called the "Cannabis Cove", on the 3rd floor, where you may enjoy your buds. Click on the link below to make your reservation. This is our top floor room with a great view of Pikes Peak. The room accommodates one person and is 420 marijuana friendly. Three night minimum stay required. We are a small but clean and quiet independent motel in Cortez, CO. We are 420 friendly and do allow smoking in our limited number of smoking rooms (tobacco and marijuana.) We also allow smoking outside anywhere on the property. Three bedroom luxury home built in 2007 has 3 bedrooms, 3 baths, and over 2,500 sq feet perfect for your next mountain escape! This home boasts a fantastic open floor plan with unobstructed views of Mt Crested Butte. Just a brief a 5 min. walk to the base of the ski area where you can find bars,restaurants,shopping and more! Nurture rest, romance, good health & adventure! Newly built 2-bed, 2-bath eco-home on quiet stretch in beautiful north Animas Valley. Modern rustic style with state-of-the-art technology systems and a variety of natural & no/low VOC finishes. Views!! A cannabis friendly private shared property, with outdoor water features (small pond with seating areas(based on season), outdoor grill), surrounded by trees / bushes to ensure privacy with outdoor smoking, in addition to being able to smoke in the house. (Light glassware provided). Rustic River Cabins are tucked away in the Big Thompson Canyon just four miles from the center of Estes Park, Colorado. 420 friendly, outside smoking only. We offer seven all-season, pet-friendly cabins on 16 acres. Built in the mid-1940s, the cabins have a rustic feel that makes you feel part of the Rockies. Historic Dripping Springs is minutes from Estes Park Colorado, and Rocky Mountain National Park, on a beautiful "Gold Medal" trout stream called the Big Thompson River. We offer pet friendly accommodations for both couples as well as families, in our 7 cabins or 5 B&B rooms. We promise you a very clean and comfortable place to stay, in one of the finest places nature has to offer. Cannabis consumption permitted outdoors in designated areas. We are a tobacco free facility. We welcome guests to vaporize their products or smoke outside at our hillside or creek side seating areas. Disconnect from technology & reconnect to each other. Nestled away in the Rocky Mountains at 8200' surrounded by trees, hills, & wildlife - don't expect a cell signal here. Stay in our rustic tiny-house, 350 sq. ft. of private, comfortable sleeping space! The only nightlife here consists of moon-gazing, star-watching, & listening to the sounds of the wilderness. Wake up early for a Pikes Peak sunrise. This AirBnB is cannabis friendly -- please connect with hosts for more details. We offer a year-round tropical oasis nestled in the foothills of the Rocky Mountains. With direct access to bike trails and public transportation, we're close to exceptional dining, world-renowned breweries, pioneering dispensaries and exciting outdoor activities. 420 friendly, outside only. The Historic Melrose Hotel is a residence for overnight, short- and long-term visits to the Grand Junction area offering clean, comfortable, and affordable rooms. Rooms at the Historic Melrose Hotel have free Wi-Fi and cable TV. The Hotel has an outdoor patio with BBQ facilities or gather in our shared kitchen, dining room, and sitting area where you can experience a multitude of cultures from travelers all over the world. Guests are able to prepare meals with food they purchase. Private room accommodates 2. The building is decorated in a 60's theme with lots of color and plants. Everything is newly remodeled. Located about 3 miles from Garden City CO. 420 friendly-chocolate fountains, fondue pot, baking tools and recipes in every room. Js! is a self catered sleep facility. There are also 2 additional rooms available: Purple Room and Red Room. Whether you are looking for a romantic long weekend, a family vacation, or a few days away from the city, you will relax in comfort in one of our 12 420-friendly cabins, several RV sites or camping spots on the property. On the river and in the woods...420 marijuana friendly cabins and cottages. In the Big Thompson Canyon half way between Loveland and Estes Park. Smoking permitted outdoors only in designated areas. Vaping inside OK. This is our walk out basement with private entrance, private deck, patio and hot tub. We are in the lovely foothills of northern Colorado, close to Loveland, Longmont, Ft Collins and Estes Park. We are 420 marijuana friendly & smoking is allowed outdoors only, over looking the foothills of Colorado & Carter Lake. We have 2 dispensaries within walking distance and we are the only 420 friendly lodging in Mancos. We are also pet friendly and the closest hotel to the entrance of Mesa Verde. We allow vaping in room. All other smoking can be done outside. We do have a variety of dab rigs on site for those customers that have never experienced it but would like to try. Located a few minutes away from Red Rocks! This property consists of 8 cottages, each with their own unique theme and private hot tubs. The property is approximately one acre and envelopes the 8 cottages and the Lodge House. The grounds, dotted by trees and stone walk ways, reflect classic “foothills” landscape with a touch of a European/ Southwest influence. The Cliff House is not regulated by stringent policies or procedures, but rather, a free-style approach to “guest enjoyment”. 420 marijuana friendly, outside smoking OK. Some rooms have balconies and there are common area decks. Ouray Main Street Inn is affordable 420-friendly lodging in Ouray, Colorado. We feature 4 unique units, all with private baths, in-room coffee, and microwave/mini-fridge or full kitchens). Ouray Main Street Inn is 1 block from downtown Ouray, nestled at the foot of the San Juan Mountains. All rooms have great views, and are close to shopping, hot springs, restaurants, and hiking. We are “Pot and Pet Friendly!” Check out our website and “Dispensaries” page to find nearby points of pot purchase. Located in beautiful Pagosa Springs, Colorado is the First Inn. First Inn is a cannabis friendly option to give you piece of mind, while having a good time. We have clean rooms, and allow any type of cannabis consumption inside the top floor rooms. Smoking, vaping, dabbing are OK. Upon request, First Inn will offer an ashtray with a few Pure Hemp Rolling Papers for your convenience. A rustic bed and breakfast nestled in a high mountain valley up against the South San Juan Wilderness Area. Accommodations include tipis and tent sites on the banks of the Rio Blanco. Continental breakfast of local delicacies and the renowned 4:20 Happy Hour, featuring a selection of the finest organic flowers, concentrates and infused-edibles and served from 4:20 to 6:20 p.m. daily. Consumption of cannabis is permitted in the tipis and throughout the campground. Season runs mid-May through September. Located on the beautiful Colorado River, just off I-70 near the western Colorado town of Grand Junction. Dreamcatcher Bed and Breakfast is located 4 minutes from Palisade and overlooks the valley with a beautiful view of Mt. Garfield and other surrounding mesa cliffs. The orchards and fields make you feel like you are in the country, while actually in close proximity to restaurants, services and shopping. You are also near great outdoor adventures. Truly something for everyone! A value hotel with combustion friendly rooms and and an outdoor smoking area. A free continental breakfast is included with your stay. Located just 4 blocks off of I-70, this 2 story hotel is the perfect place to take a break and enjoy some legal marijuana. Enjoy a relaxing stay in our luxurious master suite with gas fireplace & master bath. Stay comes with a continental breakfast & the use of our 7-person jacuzzi + Bliss Bar with Volcano/Herbalizer vaporizers & an electric nail dab rig. All for $200/day. 420 marijuana friendly guest ranch with a passion for the outdoors and relaxation. Smoking allowed outside, on the porch or around the grounds. Pet friendly. Make yourself at home in one of the 58 air-conditioned rooms featuring refrigerators and flat-screen televisions. Complimentary wireless Internet access keeps you connected, and satellite programming is available for your entertainment. Bathrooms have shower/tub combinations and complimentary toiletries. Conveniences include desks and microwaves, and housekeeping is provided daily. Discover a secret Southwest Colorado Resort Retreat and Spa, your adventure travel and Colorado Romance destination. This adobe-style Colorado Resort & Spa, provides rustic boutique lodging with private hot tubs, romantic fireplaces & patios, solar heated hot Pools, spa, yoga room, steam room, sauna, and the Kiva Conference Center. Cannabis smoking permitted in our TIPI. Step back into quiet simplicity. Mingle with other guests. Read a book. Relax and wind down after a busy day adventuring. Wake up to sounds of birds and mountain views on the balcony. Enjoy life again. Stay at the Windsor Hotel 10 miles from Loveland 20 miles from A-Basin. Three 14ers easily accessible. featuring 4 bedrooms to 1 shared bathroom. All located on the 2nd floor. Whether you're visiting, vacationing, or just passing through, the Downtown Motel will provide you with affordable accommodations in Trinidad to make your visit a comfortable experience. Accommodating, warm and comfortable, our hotel, Tower 64 Motel & RV offers the perfect blend of business and leisure amenities. Conveniently located on Exit 11 on I-25, right on the border of Colorado and New Mexico. We are marijuana friendly. Enjoy your own private, rustic, cozy bungalow on 30 acres of land in stunning Colorado. This stunning property has excellent views of Fisher's Peak, abundant wildlife, and is close to Trinidad Lake. Your unique bungalow accommodation features a strained glass window, a wood burning stove, and numerous other artsy touches. This property is 420 friendly in select areas, please see your host for more details. Enjoy your own private two bedroom home, conveniently located near the main Trinidad attractions and Trinidad Lake State Park. One of the newest 420 friendly lodging options in Trinidad, come and explore this wonderful property. Complete with a lovely fenced in backyard, this home is the perfect canna-getaway for your next adventure. Cozy, quiet and warm bedroom connects to private bathroom. B'fast included. Outdoor hot tub. Short walk to free bus, 2 miles/one stop from Vail Village. Extra beds available. 420 friendly vacation home for rent. Located in town, this home has just the right accommodations for groups large and small. Marijuana smoking OK inside, or outside with discretion. Cigs outside only. Enjoy a true Colorado vacation, decorated in 420 fashion. Sleeps 4. Fully equipped kitchen and washer/dryer and a private backyard. Pet-friendly. Ask about our Smoking Kit Rental for 21+. Welcome to the HippieDewDropInn. This is a beautiful home just 10 minutes from the Budweiser Event Center, 15-20 minutes from Fort Collins, 8 minutes from I-25. There is one private bedroom with a Queen bed. There is a full futon in an open shared living space. There is also a couch in a shared living space. This is a 420 friendly space! No trip to Colorado is complete without a visit to one our beautiful mountain communities. Winter park is located just 60 miles West of Denver, making it one of the closest ski towns in relation to the Mile High City. With over 3,000 acres of award winning mountain terrain, Winter Park truly offers something for everyone, no matter your experience level. Packages including skiing or snowboarding, snowmobile tours, tubing, cross country skiing or snowshoeing. In house full service restaurant and brewery. Complimentary mountain and town shuttle. Hot tub and heated indoor pool. Fireplace mountain view suites available. Pet friendly rooms available upon request. Deposit required for booking, remainder payable upon checkout in cash or charge. No fee for one night stays. Cancellations must be made by 4:00pm the day before check in. A room at a Valley Hi Motel begins with a liberating sense of space-your room opens to the splendor of the Fraser Valley and all of its available activities. Our hotel connects you with the surrounding area, while ensuring your comfort and convenience. Biggest hotel rooms in Winter Park Fraser Valley. We were the first 420 friendly hotel in the area. Smoking room, two decks facing Winter Park Resort and the forest, 420 marijuana friendly, vaporizer OK in the room. Activities nearby include; skiing, snowboarding, cross-country skiing, snowshoeing, tubing, ice skating, snowmobiling, biking, hiking, mountain climbing, rafting, horseback riding, Alpine Slide, tennis, golf, rodeo, music festivals, and art shows. Our extra large rooms at affordable rates will be a pleasant surprise for you and your family. No representations or warranties are made with respect to the accuracy or completeness of the information displayed on this site. Although we make every effort to assure our results are accurate, we offer no guarantees as to the accuracy of information presented. Contact the hotel directly for policy clarification. Let us know if it conflicts with what we have in our directory. Thank You.